Tens of thousands of organizations use MongoDB to build high-performance systems at scale. Organizations ranging from Fortune 100 enterprises to the most agile startups rely on MongoDB. They've grown from single server deployments to clusters with over 1,000 nodes, delivering millions of operations per second on over 100 billion documents and petabytes of data. There are many examples of MongoDB users who are pushing the limits to scalability. Here are a few, organized around each scaling dimension. EA Sports FIFA is the world's best-selling sports video game franchise. To serve millions of players, EA's Spearhead development studio selected MongoDB to store user data and game state. Auto-sharding makes it simple to scale MongoDB across EA's 250+ servers with no limits to growth as EA FIFA wins more fans. Sprinklr helps some of the biggest companies in the world reach, listen to, and engage with their customers across more than 25 different channels, all from one unified platform. MongoDB is deployed on more than 800 instances running on multiple public cloud platforms, supporting the ingest and processing of hundreds of thousands of messages every second. Square Enix uses MongoDB to scale TOMB RAIDER, HITMAN ABSOLUTION, DEUS EX & more. MongoDB’s advanced management platform enables the operations team at Square Enix to scale dozens of database clusters on-demand and deliver 24x7 availability to gamers around the world, all with just one administrator. Sailthru makes it easy for e-commerce and media brands to personalize content across a variety of channels, including email, onsite, mobile, social and more. As the company's customer base has swelled to over a billion users, 125 million content documents (e.g., URLs and products relevant to particular users), and 5 billion messages per month, Sailthru has come to store over 40 terabytes of data in MongoDB across 120 nodes on mostly physical infrastructure. Foursquare is used by over 50 million people worldwide, who have checked in over 6 billion times, with millions more added every day. MongoDB is Foursquare's main database, supporting hundreds of thousands of operations per second and storing all check-ins and history, user, and venue data along with reviews. AHL, a part of Man Group plc, is a quantitative investment manager based in London and Hong Kong, with over $11.3 billion in assets under management. After evaluating multiple technology options, AHL used MongoDB to replace its relational and specialised 'tick' databases. MongoDB supports 250 million ticks per second, at 40x lower cost than the legacy technologies it replaced. Qihoo uses MongoDB to support over 100 applications deployed on over 1,500 nodes, serving 20 billion operations per day. Core Internet services including location-based mobile search, log analytics and SSO session caching rely on MongoDB's scalability and performance to serve hundreds of millions of users. One of the world's top 5 banks powers its global reference data management platform with MongoDB. Replicating data across 12 data centers distributed around the world, MongoDB scales to serve the latest financial data to support traders in every country, while ensuring regulatory compliance. Delivering personalized, on-demand TV services on a microservices-based platform, supporting 100,000 operations per second with 99.999% availability. Since its first MongoDB project in 2012, Baidu has grown its cluster to 600 nodes storing 200 billion documents and 1PB of data, powering over 100 apps. Providing a more natural data storage model for its petabytes of data from 300 million patients, Experian Health is moving its primary database from Windows and SQL Server to Linux and MongoDB, running with Docker and Kubernetes. Genomics England uses MongoDB to power the data science behind the 100,000 Genomes Project, scaling to handle hundreds of terabytes of complex genetic data that powers life saving and ground-breaking discoveries. MongoDB powers McAfee Global Threat Intelligence (GTI), a cloud-based intelligence service that correlates data from millions of sensors around the globe. Billions of documents are stored and analyzed in MongoDB to deliver real-time threat intelligence to other McAfee end-client products. Many of the world's most recognizable brands use Adobe Experience Manager to accelerate development of digital experiences that increase customer loyalty, engagement and demand. Adobe uses MongoDB to store petabytes of data in the large-scale content repositories underpinning the Experience Manager. Appsee is a new generation of mobile analytics company providing business owners with deep insights into user behavior, enabling them to increase engagement, conversion, and monetization. Customers include eBay, AVIS, Virgin, Samsung, Argos, Upwork, and many more. Appsee relies on MongoDB to ingest the firehose of time-series session data collected from its customers’ mobile apps, and then makes sense of it all. Thats 20 billion documents, 15TB of data scaled across a MongoDB cluster in the cloud, doubling every year. CARFAX relies on its Vehicle History database to connect potential buyers with used vehicles in their area, and for analytics to guide the business. To improve customer experience, CARFAX migrated to MongoDB which now manages over 13 billion documents *(before replication)* across multiple data centers. MongoDB Atlas delivers the database as a fully automated cloud service with the operational and security best practices built in. Easily deploy, operate, and scale your databases on the public cloud of your choice. Start free or easily live migrate an existing cluster to MongoDB Atlas. Running MongoDB in Your Own Environment? MongoDB Ops Manager helps you automate and monitor databases in your self-managed environments. The benefits of Ops Manager are also available with MongoDB Cloud Manager, a hosted management tool that provides access to cloud backups. 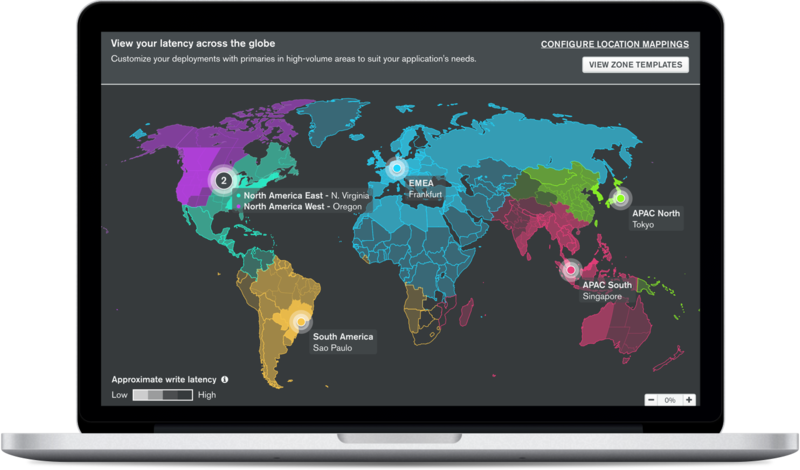 With MongoDB Consulting, solve scaling and high availability. A MongoDB consulting engineer provides expert guidance on the inner workings of sharding MongoDB, as well as replication, failover, and backup. The engineer then gives you detailed recommendations on how to apply best practices to your deployment. Send a note to us about your deployment to humongous@mongodb.com. We'd love to hear your story. Receive advice on sharding and scaling.